What Is The Value Of Creativity In Communications? Discussion about the ‘decline’ of the Economist campaign made me re-consider what a creative idea is in the communications industry, why they are important, how they are nurtured and what they are worth. A few months ago Banksy messed with everyone’s head by putting a self-destruct button into one of his paintings. When it went to auction (for around £1m), the shredder set to work as the auctioneer’s hammer fell. Drama! As a result the Girl with Balloon now sits half mauled, flapping below the frame. It has a new name, ‘Love is in the Bin’ and also a new value. Despite being ruined, the value has gone up and I assume this is because ‘Love is in the Bin’ is a brilliant creative idea. I’m not quite sure what the specific idea is, but it’s something about daring to question the value of art, the value of fame and the gullibility of the commercial world at the heart of the art world. In the case of the Girl with Balloon, the idea is bigger than the execution. By ruining one piece of art, Banksy can make a comment about all private art (or about all people who buy art). We can put a value on that idea because the value is whatever people are prepared to pay for Love is in the Bin. 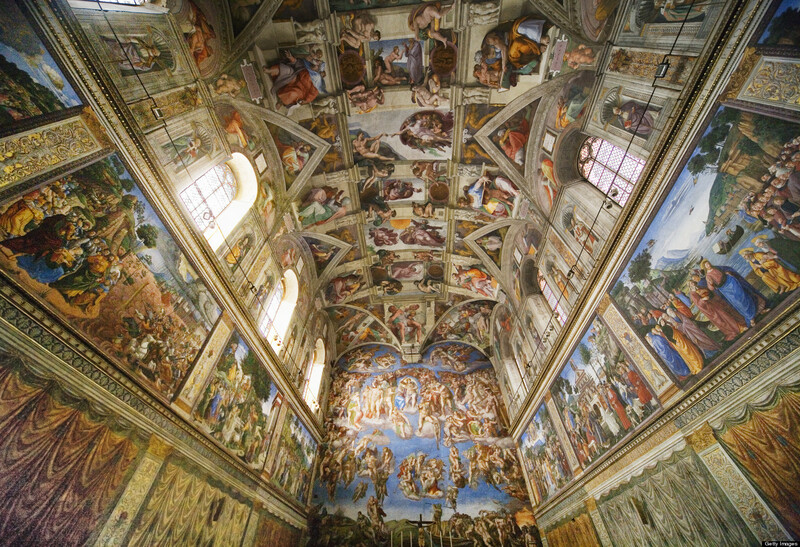 The painting is ruined – but the idea commands whatever someone is prepared to pay for it. It’s harder to judge the value of a creative idea in communications, because the idea is a means to an end, not the end in itself. 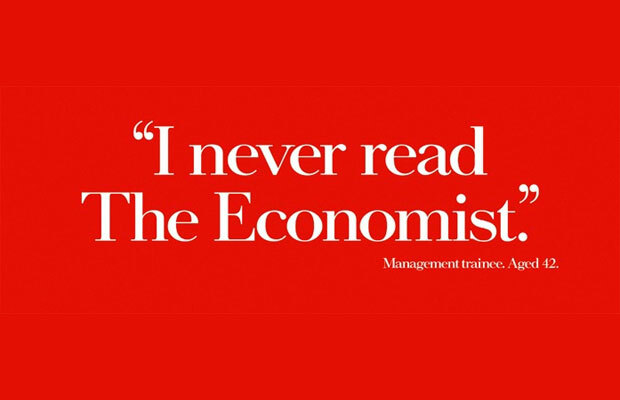 When AMV created the Economist print campaign, did they know the significant effect the idea would have on the business and the brand? Could they have charged more – or rather, would the client have paid more? Did the client even actually pay for the idea, in the same way they paid for the media space, or did they pay for a slice of people’s time, recorded and cross-referenced against a ‘scope of work’? Did they realise that those people, at that agency, led by that man, creating that campaign, deserved more? I’m sure a lot of data went into the conception, creation, execution and placement of the new Economist campaign. 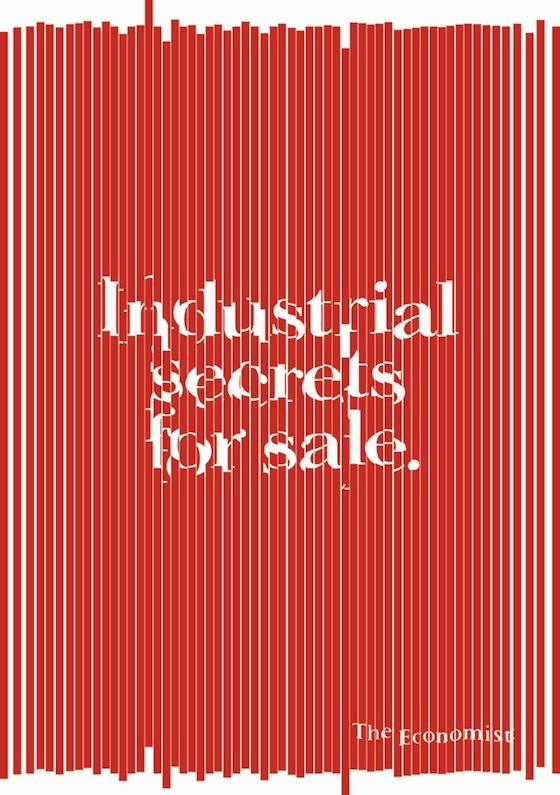 I agree with Mark Gorman’s analysis of this new Economist campaign and I am distressed that so little creativity, or even basic care went into bringing the core idea (‘Question everything’) to life for the greater glory of the Economist brand (see my blog Making Ads: Does Anyone Care?). The work may be efficient, but will it be effective? My tragic conclusion from the Economist campaign is that clients appear to pay the same for a bad idea as for a good idea; or that they don’t see a difference, or that they don’t care. In that case, from a commercial point of view, why should the creators? And if that becomes acceptable logic, then everything comes tumbling down; only provable, measurable data has a value, so everything hides behind precedent. Less risk, less difference, less breakthrough, less creative. What is a creative idea in communications, anyway? Creative thinking is not the preserve of the creative department; creative ideas come in all shapes and sizes and I believe they come under the broader description of ‘commercial creativity’. They can be penetrating consumer insights, breakthrough strategic propositions, heart-wrenching communications platforms, or cut-through, un-missable executions. Think of a famous (Guinness) beer, a (BMW) car, a (Sony) TV, a (Cadbury’s) chocolate bar, and there will be a differentiating idea underpinning it. By which, I don’t just mean a well-made piece of advertising, I mean a relevant, distinctive, desirable brand idea. Because there is no certainty of the commercial effect of creative ideas, it is impossible for agencies to know how much to charge for them, or for clients to know how much they should pay for them. The strongest ideas transform a business and become a reference point for everything the client does; they are a mantra for behaviour. For this reason I respect the new Gillette campaign – We Believe: The Best Men Can Be. The world is changing and the way men behave is under the microscope. Gillette could have nodded to this ‘new world’, by toning down its ‘manly’ communications. Instead it’s taken the whole issue head on. It’s just as courageous as the Dove ‘real beauty’ strategy. If Dove was about celebrating the beauty of all women, Gillette actually highlights the ugliness of all men – and even admits that it may have been part of the problem. It’s a man’s brand talking to men about men, so is relevant in a way that the nauseous Kendal Jenner Pepsi ad is not. In a world where we lack credible reference points for appropriate behaviour (State? Church? Family? Neighbourhood? Twitter? ), a brand has the opportunity (moral obligation?) to offer a positive framework for behaviour – a set of values by which I might navigate my life. Gillette my new moral compass – who’d have thought? I have no idea whether the Gillette campaign is a one-off, or the foundation for a long term brand positioning. I read that sales may fall in the short term. But the idea made me think twice about the brand; it struck a chord with me about the ‘men’ issue in a way that hysterical social media hasn’t. It will change my behaviour. I believe this is commercial creativity at its best; taking a brand and making me look at it in a fresh, positive, relevant way; espousing values from inside and outside the category and inviting me to share them; daring to stand out and daring me to stand out with them. I think the people who created this should be rewarded for this idea – I hope this reward comes in the form of a long-term relationship with Gillette, an opportunity to manage and explore the idea, accompanied by recognition for their work. I hope also that Gillette reaps commercial reward in the long term and that they share it with their creative partners. Creative ideas can be right, or wrong. They can also be good, or bad. We need to insist on ‘right’, be prepared to recognise ‘bad’ and always strive for ‘good’. If we can harness data to serve creativity, not repress it, brands have more chance of generating exponential value from what we do. They should then reward the people who helped bring them to life. Enjoyed this breakfast read about the value of a creative idea? For a chat over coffee about your brand, visit Breakfast Town or call +44 7950 257802. 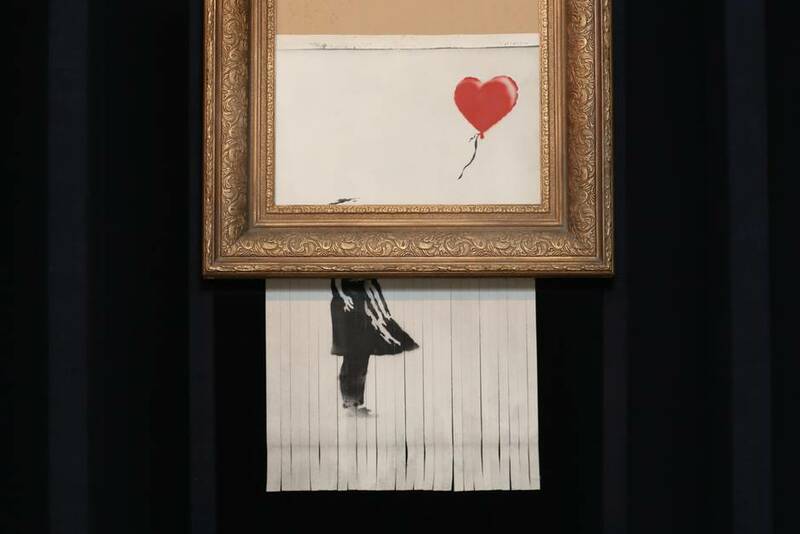 This entry was posted in Advertising and tagged Banksy, Girl With Balloon, Love Is In The Bin. Gillette TV ad: We Believe: The Best Men Can Be on January 30, 2019 by Andrew Barrington.